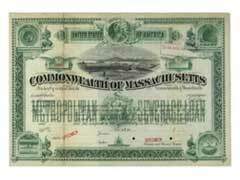 Massachusetts municipal bonds come in many types. These bonds may be issued by the state, any city in Massachusetts, and other government entities in this state. When you buy municipal bonds there are certain tax advantages in many cases, and this can include city, state, and federal tax benefits in certain situations. Many investors prefer municipal bonds, or munis as they are sometimes called, because they are generally a safer and less risky investment but this is not always true. There are some Massachusetts municipal bonds which can include a higher amount of risk, so it is important to research these investment choices carefully before investing. Tax free municipal bonds can be offered by any municipal entity in the USA. There are even mutual funds which invest in these securities because of their security. The Massachusetts Tax Free Income Fund, ticker JHMAX, offered by John Hancock is one of the mutual funds which invests mainly in Massachusetts municipal bonds. This is ideal for a resident of this state because it offers additional tax benefits. Florida municipal bonds offer the same benefits to residents in this state, and many types of munis are automatically exempt from federal income taxes. For many investors this type of bond can help lower the overall investment taxes paid each year. Massachusetts municipal bonds typically provide a stable investment with little loss of capital, and that is why they are so popular in addition to the tax advantages. These bonds are issues to help the issuing municipality raise needed revenue, and come in a range of lengths. Some of these bonds may mature in a year or two, or even before this, while other municipal bonds in the state may not mature for a decade. Municipal bond prices are usually very affordable, and while these investments may not make you wealthy overnight they are a great addition to any diversified portfolio. Municipal Bond Interest Rates - What to Look For? Ohio Municipal Bonds - Still An Attractive Investment?